Misumena vatia, a crab spider has developed a special relationship with orchids. Sitting on an albiflora form of Dactylorhiza fuchsii it wears its white body, as Norbert Griebl has observed. Now I’ve watched her in Thuringia on Cypripedium calceolus in its yellow form – a perfect mimicry. The spider makes use of the fact that the slipper-shaped pouch of the plant traps small insects in order to ensure its fertilization – while is spider is only interested in food. The spider changes its colour by secreting a yellow pigment into the outer cell layer of its body.While sitting on white flowers, this pigment is transported into lower layers. The colour change from white to yellow takes between 10 and 25 days, the reverse about six days. 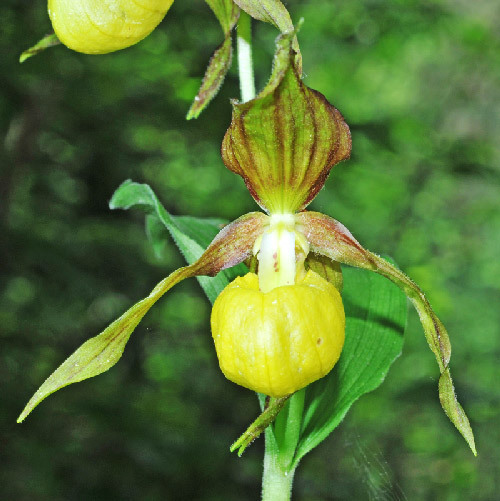 The Cypripedium calceolus in Thuringia show almost none varieties in terms of flower colours. 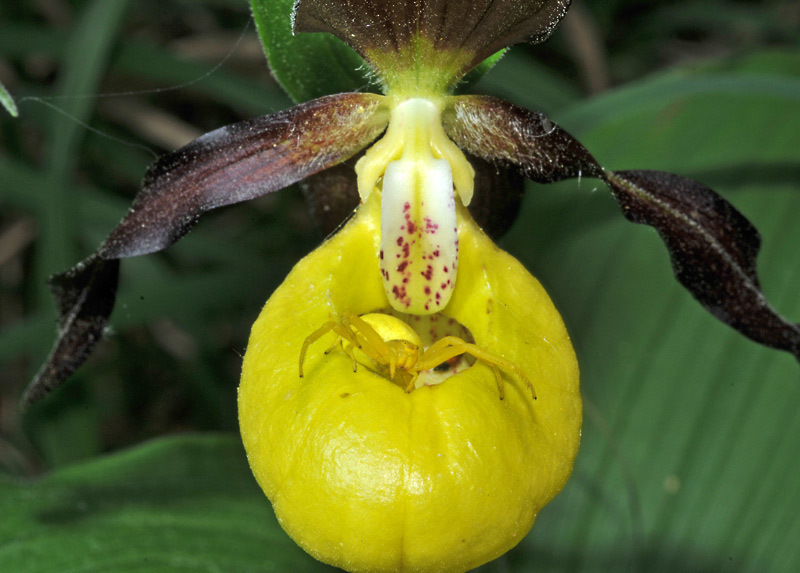 Among more than 1000 plants I’ve found one with reduced anthocyanin pigments in sepals and petals which could be addressed as Cypripedium calceolus forma citrinum.